Congratulations to John, Mike & Gavin on their art purchases today. 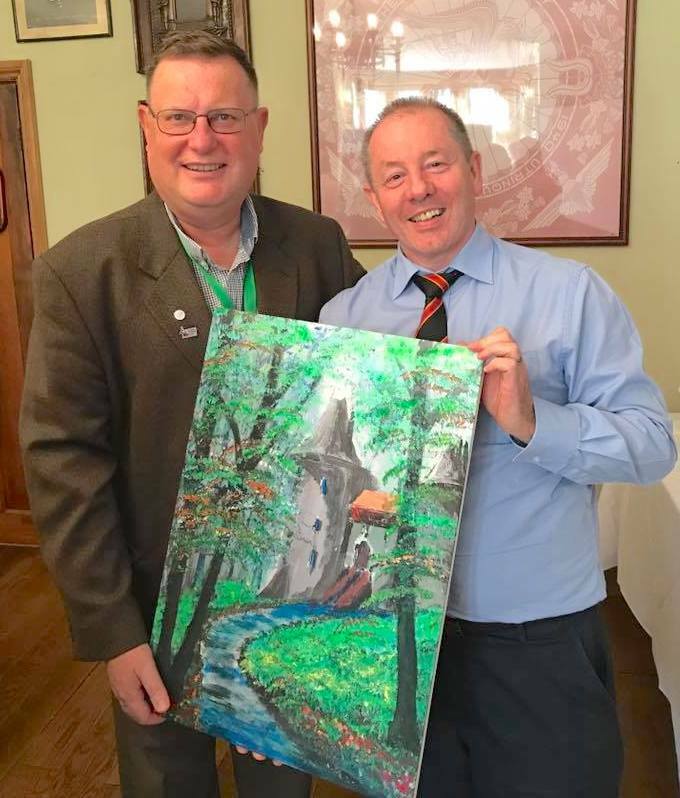 John bought Castle Coch View, a 23×16″ mixed media work as a gift for his daughter. Mike saw the Red Umbrella and immediately has to have it! This version is on 11×16″ canvas. 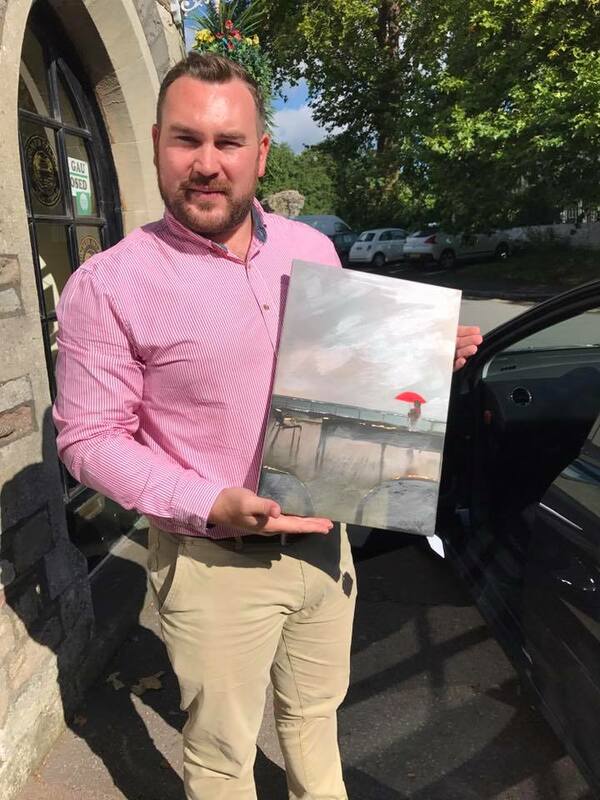 Finally, Gavin of Horton’s Cafe in Newport was delighted when he saw this work called ‘Horton’s View’. 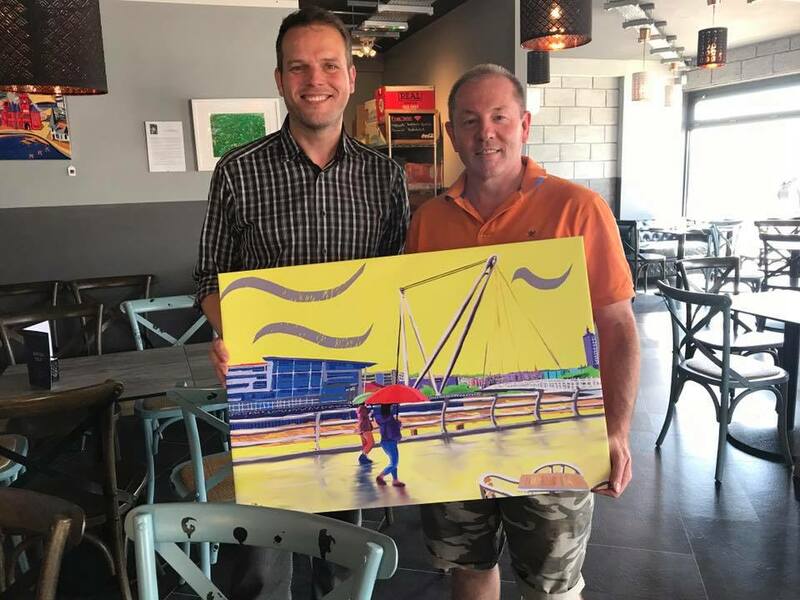 On 20×40″ canvas – a one of a kind work of a detailed study of one of the best views of modern Newport featuring the pedestrian bridge.